Thanks to everyone who joined us for Dickens of a Christmas 2018! We're looking for volunteers to help us out on the 3 nights of Dickens. Sign up here! Friday, December 14, 6:00pm - 10:00pm - featuring the City of Roanoke Christmas Parade at 7:30pm (later start due to Franklin Rd bridge construction). Parade will go on rain or shine. 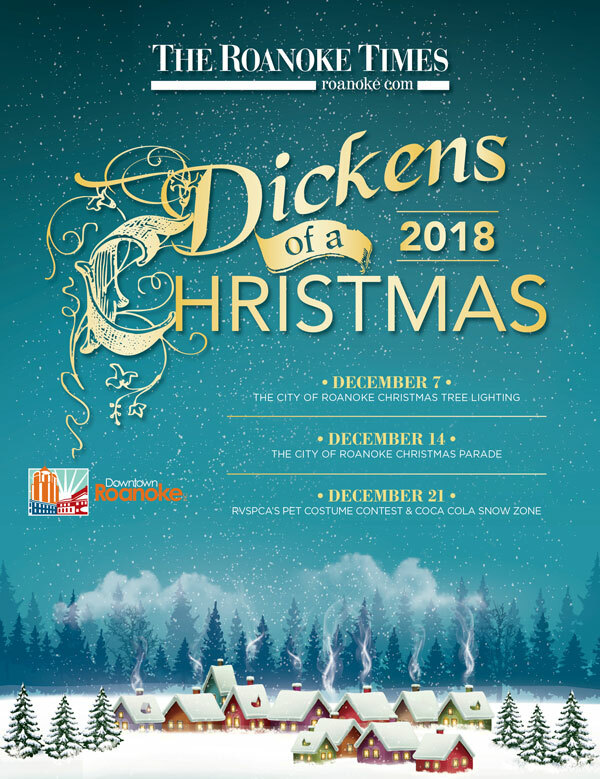 Interested in becoming a 2018 Dickens Vendor? Fill out our Vendor Application! Click the image below to see our insert with full celebration details! Thanks to our sponsors for making this event possible!